We also provide Modern Interior and Exterior Sculptures to our clients, which is carved using best grade marble. Furthermore it is carved in exclusive shape awaken the imagination of the beholders. 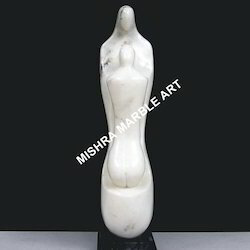 Our customers can use this marble abstract sculptures in drawing room and exhibit their modern taste stylishly. We also provide customized solution to our clients as per their requirement. Looking for Modern Interior and Exterior Sculptures ?